Here is the circle skirt I made last night. It is the quickest piece of clothing I have ever made!!! The tutorial is written by Dana, over at Made. Dana's step by step instructions are clear, detailed and easy to follow, with numerous photos, so you can't possibly go wrong. 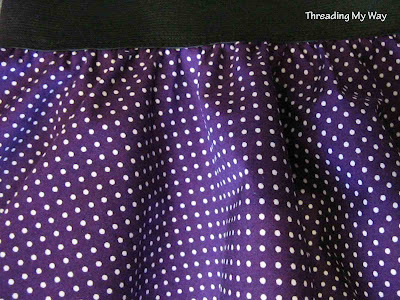 Attach the elastic to the top of the skirt. That's all there is to it. There are no seams and no gathers. The skirt hangs and twirls beautifully. What little girl wouldn't LOVE a skirt like this? This skirt is adorable! Polka dots make me smile! Thanks for following me! I'm officially following you too! I love it and I love the fabric! Thanks so much for linking it up with Creative Me Monday! I love it! I've had this tutorial bookmarked for as long as I can remember!!! I should move this one up in my to-do list :) So much to sew.. so little time to myself!!! I feel like I could totally do this! 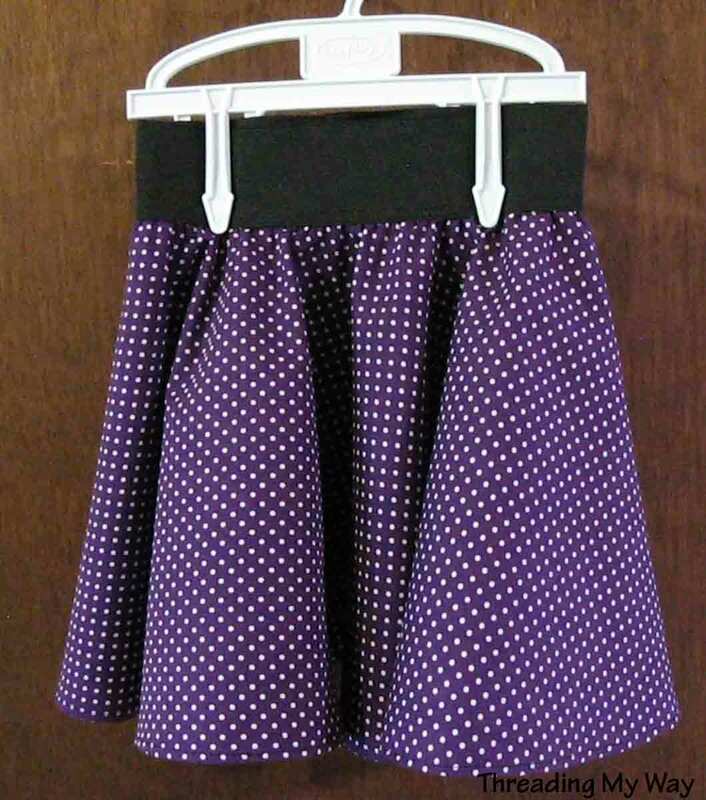 I always wanted a skirt like this when I was little! Love the fabric of course! Thanks for the link to the page with the tutorial. I saw so many great things there! Thanks for sharing! I have 3 girls & they'd all love one! Adorable! Love the polka dots! I actually just stitched up a circle skirt out of red gingham for myself for my Halloween costume(Little Red Riding Hood.) I like how you went with a wide elastic band, so much prettier than an elastic pocket. Thanks for sharing. i love it so sweet so simple! im a new follower i'd love if you would follower back! This is awesome! 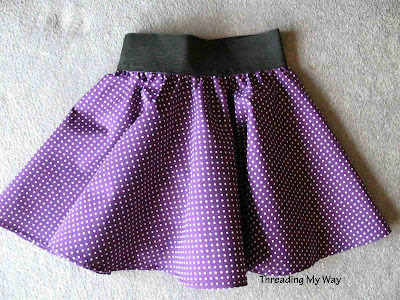 I need to make the little girls Halloween skirts this weekend and I'm so going to do it your way! Thank you and I'll be sure to link to you when I post about them! Thank you so much for linking up and sharing! Awesome! You should make one for yourself & then take the girlies out to a park & twirl the day away! Cute skirt. If I could sew clothing I would definitely be making this. thanks so much for sharing ! I have a niece that decides whether a dress is worthy of her by doing the twirl test! No twirl, no wear! thanks so much for sharing on Craft Schooling Sunday! 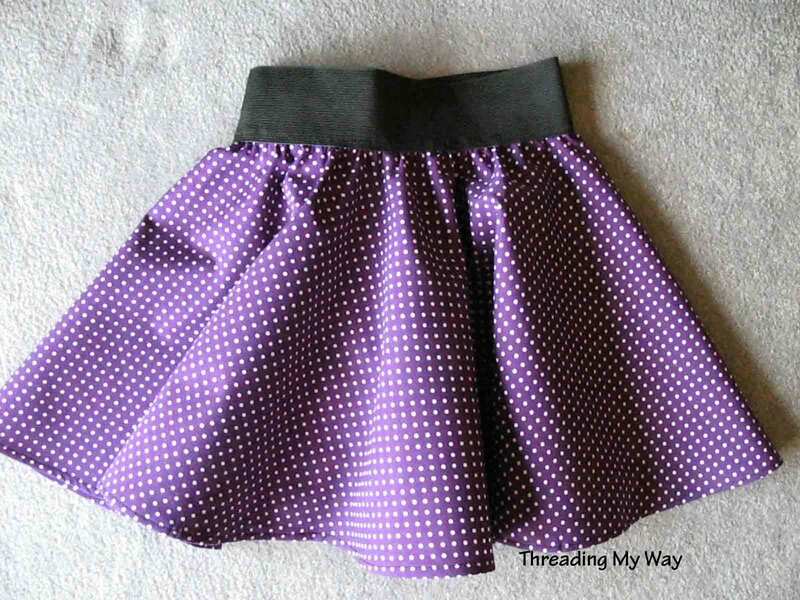 that is a cute skirt and what a quick sew! Thanks for sharing at Eat, Grow, Sew! It might even work for a young woman, perhaps in a crisper fabric. I'm thinking red, with a tad of white eyelet/lace trim... Short length. I wonder!